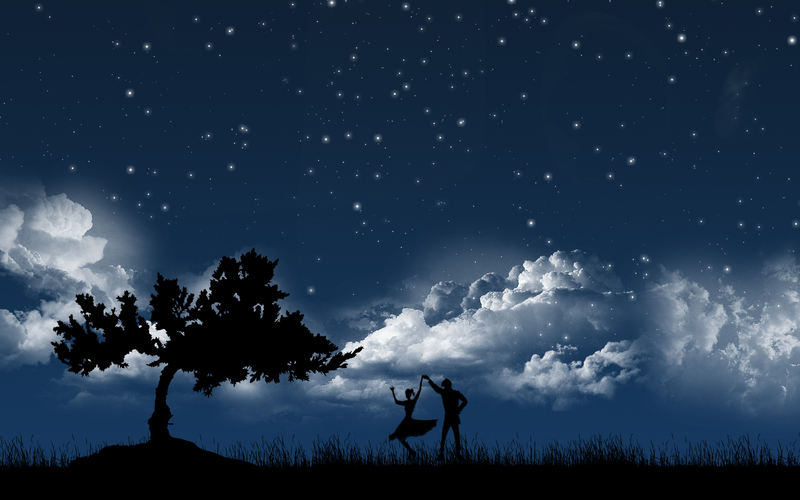 I dance in the moonlight and your ghost in my arms dreaming of what might have been. I hope that life has been kind to you and that I am not forgotten. I send warm breezes to kiss your lips that I cannot reach and I envy them. Time and space has taken their toll, but the memory of you and our lost love lives in the secret places of my heart. We cannot know what the fates have in store for us as the future has yet to be written. I wonder, will the paths we choose bring us back to each other or further apart on divergent paths, never to meet again in this life. I only know that my memories of you warm me like a soft blanket against winters cold grip, comforting me when I feel I can no longer stand strong against the hardness of life. We will not waste our precious time on ‘what ifs’ but yet in fleeting moments they invade my thoughts without invitation and that is when I dance in the moonlight with your ghost in my arms. This entry was posted in Hopes and Dreams, Love, Memories and tagged destiny, loving, the past. Bookmark the permalink.